What a beautiful swathe of color! 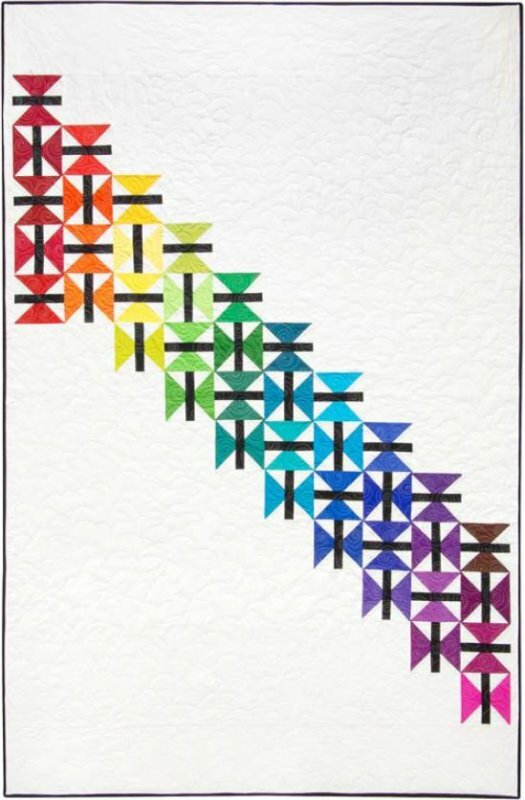 Melissa Richie used Kona Cottons to make this modern rainbow quilt for Robert Kaufman, and the downloadable pattern and sewing guide has excellent photos and instructions for every step of this project. And remember, if you're as OCD as we are about that fifth red butterfly in the column to the left, you can always put this together your way! Perhaps four rows of ten, giving kona brown the axe? However you put it together, have fun!